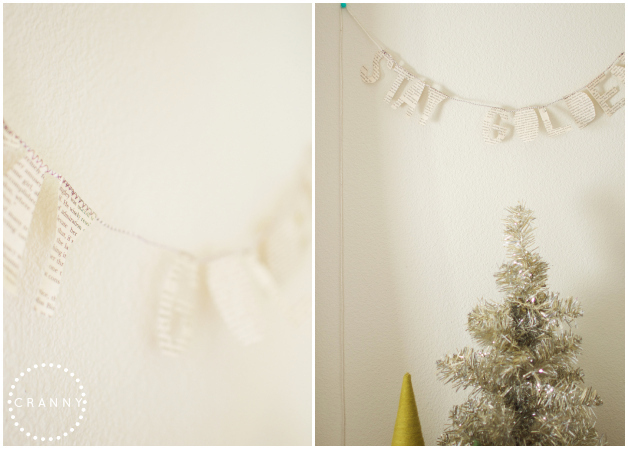 sarahkatebranine: DIY Yarn Trees (with bottle-brush globes). 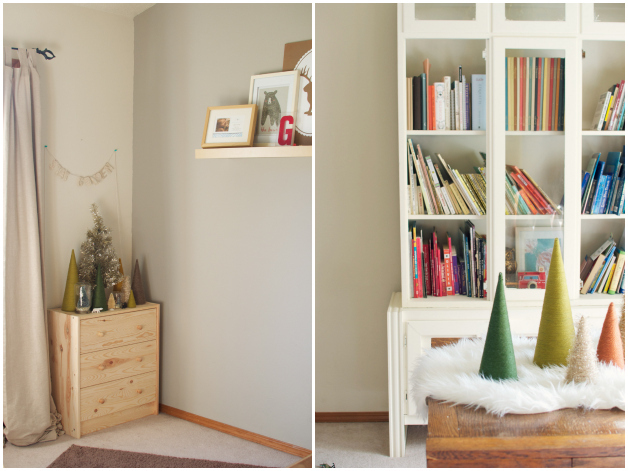 DIY Yarn Trees (with bottle-brush globes). 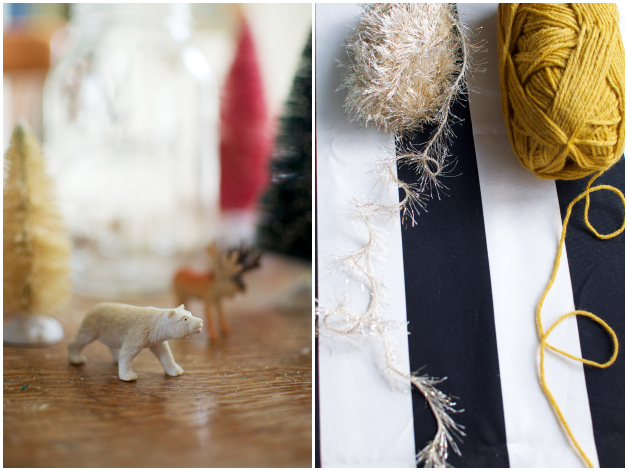 Today, I'm sharing all I know about yarn trees and mason jar bottle-brush globes. I was just confessing to a friend yesterday that my yarn trees have the tendency to stay up nearly year-round! I love the color and texture that they add to a room. And when I say color, I am not lying: I have every color of the earth-toned rainbow in my yarn tree collection. Truthfully, my collection should more properly be called a forest. The nifty thing about these yarn trees is that if you ever tire of their current color, you simply add a new layer of yarn. The possibilities are endless! (smirk) And speaking of possibilities, I love pairing these yarn trees with mason jar globes. So, let's get started! Here's what you need to start your very own forest goodness. 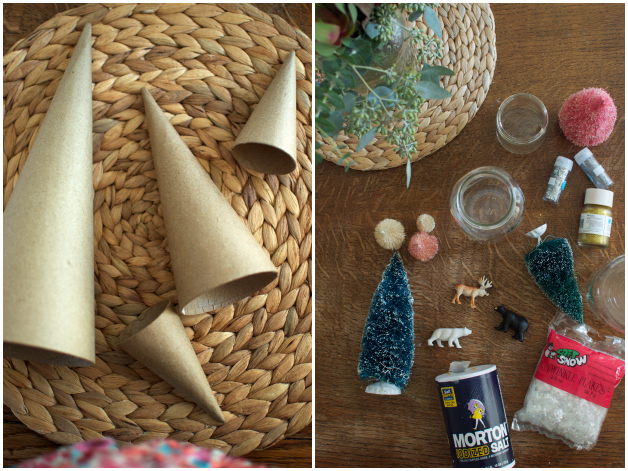 . .
For the yarn trees, you'll need yarn, scissors, a glue gun, and differing sizes of paper-mache cones. (I bought my cones at Craft Warehouse, but have also seen them at Michael's and JoAnn's.) And for the bottle-brush globes, you'll need differing sizes of jars-- canning jars, baby food jars, pasta sauce jars, pickle jars, etc., differing sizes of bottle-brush trees, glitter, salt, and a glue gun. If you're making these globes for a little one's room, consider adding animals to the mix, as pictured below. Also, you might want to use twinkle flakes instead of salt for the 'snow'; I personally preferred the look of the salt. Okay, let's get started on these yarn trees! 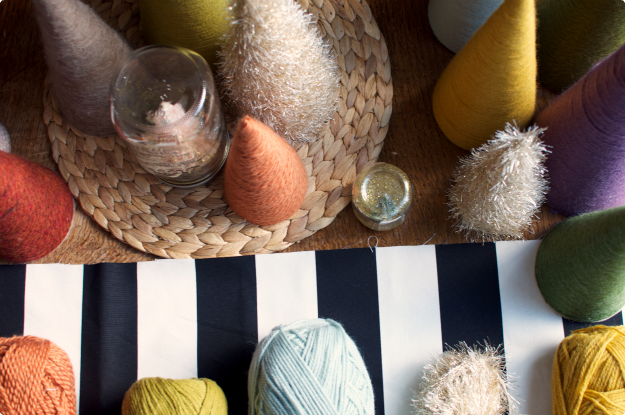 1) Choose your yarn and cone size. 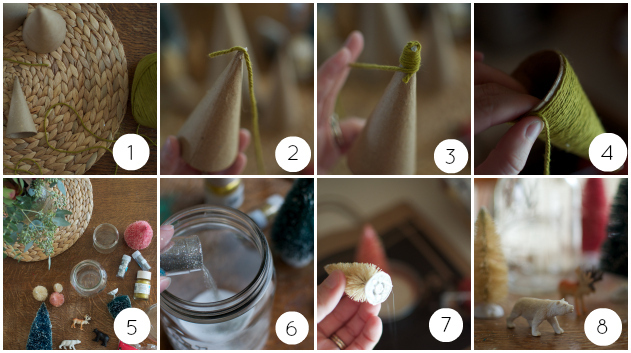 2) Put a dab of glue on the top of your cone and 3) begin wrapping your yarn around the cone. Keep your yarn as even as possible. 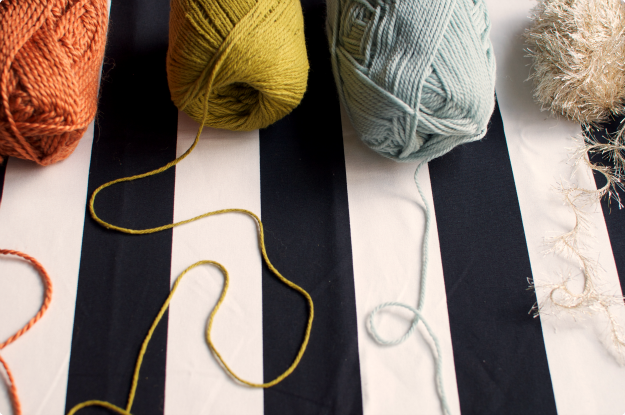 4) As you make your way down the cone, add a dab of glue here and there to keep your yarn in place. When you reach the end of your cone, secure your yarn with another dab of hot glue and cut your yarn. Now return to the top and recover the cone again. Finished! And for the bottle brush trees: 5) Choose your jar and 6) add about a 3/4" layer of salt or twinkle flakes. Throw in some glitter for good measure. (I used gold and silver, large and small-flaked glitter) 7) Glue the bottom of your bottle-brush tree to the inside of the canning jar lid. (If you like the look of that little white tree ^, let your bottle-brush trees sit in bleach for a few minutes!) 8) Add little animals too! Done! I love the versatility of these yarn trees and bottle-brush globes. They look very sweet in a child's room and quite pretty in a living area. Oh! Speaking of little ones, tonight I heard the news that one of my best pals, Katie, welcomed her first-born into the world! The little guy was six weeks early, but mama and baby are doing well. Hearing about a brand-new baby is just about the best news ever, isn't it? Katie's little guy weighed in at five pounds and it totally reminded me of my own little five-pounder, sending me on a rabbit trail of very dear memories. So, so good. Happy weekending! Thank you for taking the time to do this tutorial! I made a couple yarn trees last winter after seeing yours (and I think there was drooling involved) and I'm ready to break out in some new colors! I did not, however, double layer the cones. I will keep that in mind! 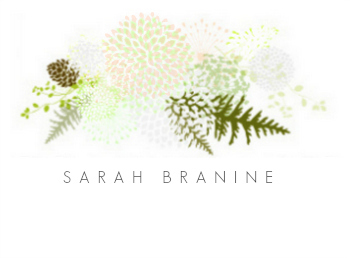 Thank your for sharing your creativity!